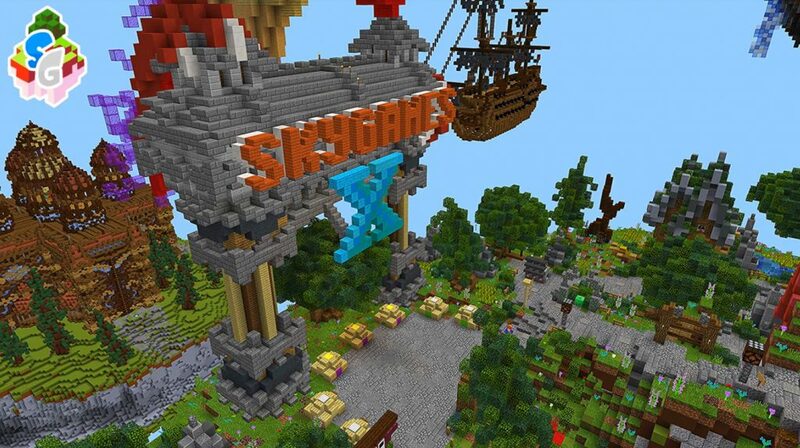 We are glad to present you the official world for SkyGames fans in Minecraft! The new SG Fan Realm 2019 1.2 adventure map can be used by you as your own world where you can have fun with your friends at Minecraft Bedrock. Immediately after generating this card, you will find yourself in the lobby, where you can choose the necessary mini-game. Below on this page you can find a list of available entertainment. Well, you already want to appreciate this amazing territory and have fun here with your friends around the world of Minecraft PE?